I regaled you with the high glamor experience of the Beverly Hilton, but what if you want to live like you’re on vacation? 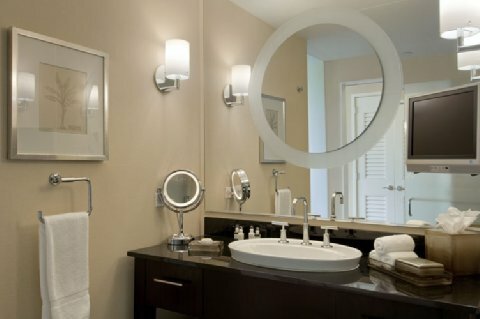 This is the guest room and bathroom at the Beverly Hilton. Here is how to assemble the look at your own home, whether in California or Kalamazoo. 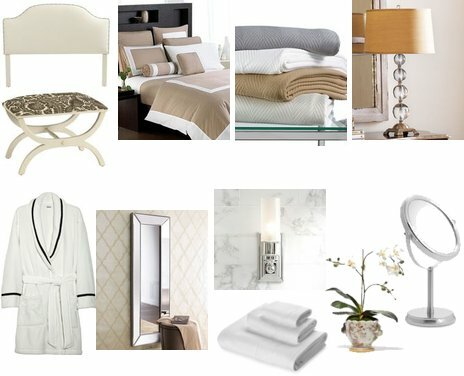 Luxe living, at home – c’est chic! 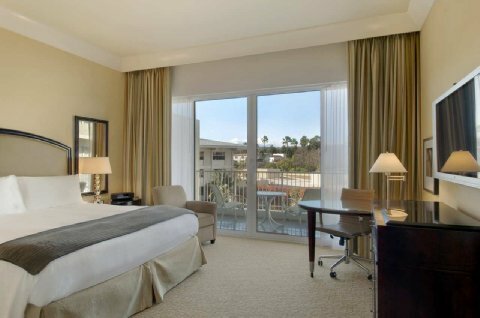 This entry was posted in Decor, Her Home, Her Inspiration, travel and tagged beverly hills, Beverly Hills trip, beverly hilton, California trip, glamorous bedroom, glamorous hotels, Hilton Hotel, home decor, hotel collection, hotel decor. Bookmark the permalink.